Multi-talented scholar Tong Bak Fu is traveling around the country with his good friend Wat Gei. Tong Bak Fu is trying to find the last beauty to complete his 'Nine Beauties Painting'. During his journey he falls in love with Chau Heung, a maid from the Wah family, and decides to paint her to complete his painting. In order to get close to her, he becomes a servant of the Wah family. In the beginning Tong Bak Fu is regarded as a talentless person by Chau Heung. Things get messier as several difficulties arise that only Tong Bak Fu can solve. With different views about life, Tong Bak Fu and Chau Heung seem to be incompatible. Spoilt Princess Tin Yuk makes things harder as she bullies Tong Bak Fu and others constantly, but falls in love with Tong Bak Fu later. 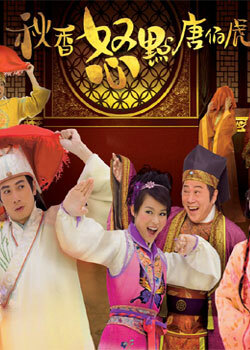 To complicate things, Tong Bak Fu gets involved into a power struggle among the Emperor, Prince Ling and others.